All that practice paid off one night when Matt and Scott, then teenagers, snuck into a club to watch their father perform. “The guitar player got too drunk before the gig and didn’t show,” Matt explains. “I knew all the songs so my dad called me on stage. I was in the band from that point on.” Scott replaced the drummer, and Barry learned bass in order to secure his spot in the band. The line-up became the newly minted The Thomas Brothers Band. During the same weekend as the infamous Nashville flood, Parmalee and Fanning wrote “Musta Had a Good Time” – even recording the demo in the RV’s recording “studio” – oblivious to the devastation that was happening to the city around them. 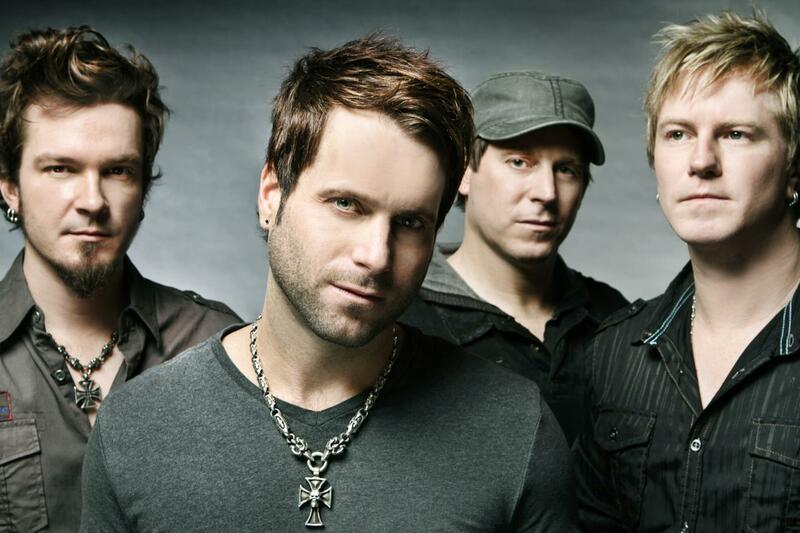 After the “Flood Sessions,” Parmalee went into the studio with New Voice to record some sides, including “Carolina,” and “Musta Had a Good Time.” NV played the songs for BBR Music Group President/CEO Benny Brown who was impressed and asked to see a showcase as soon as the band returned to Nashville. By February 2011, Scott was well enough to get behind a drum kit for the first time and the band finally performed their promised label showcase. “We wouldn’t tell everybody how bad off I was because there was no way I wasn’t going to play that show,” Scott says. “I was in a leg brace, but I only had to get through six songs. Parmalee had fought for so much for so long that we decided we hadn’t come this far to stop now.” Through sheer willpower, the band nailed the set and landed a deal with Stoney Creek Records, home to ACM Vocal Duo of the Year Thompson Square and chart-topper Randy Houser. All of Parmalee’s hard work, dedication and perseverance is paying off in a big way. Country fans voted the band’s debut single, “Musta Had A Good Time,” #1 for 4 consecutive weeks on SiriusXM’s The Highway “Hot 30 LIVE” countdown and the song became a Top 40 hit on mainstream country radio. The fun-loving party anthem has been featured in national sporting event broadcasts from the PGA to MLB. Parmalee was named a “Bubbling Under Artist” by Billboard magazine (June 2013) and one of Clear Channel’s NEW! Artists to Watch in 2013. MTV Networks also hand picked Parmalee to perform as part of its 2013 O Music Awards. Parmalee’s current single, “Carolina,” is a Top 10 hit and continues to soar up the Country radio charts. “Carolina” is also the band’s second consecutive single to be fan-voted #1 on SiriusXM’s The Highway “Hot 30 LIVE” countdown. Now, Parmalee is gearing up for the release of its debut album for Stoney Creek Records, Feels Like Carolina, on December 10, 2013. © 2019 Copyright Reverly Music Group.